Prime Minister Justin Trudeau said today he has real concerns about allegations linked to the disappearance of prominent Saudi journalist Jamal Khashoggi, a man who has written extensively about human rights abuses by the oil-rich kingdom's ruling royal family. 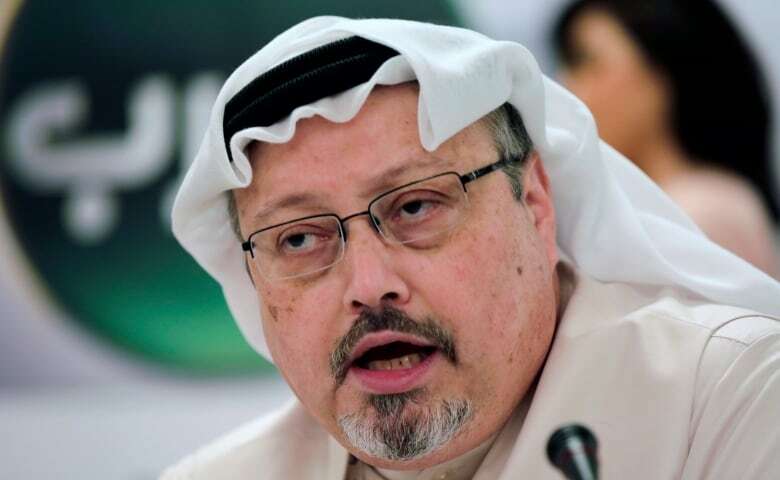 Khashoggi was last seen entering the Saudi consulate in Istanbul, Turkey more than two weeks ago, prompting fears that he may have been killed inside the diplomatic post. Turkish officials say they believe the columnist and former news executive was murdered there, dismembered and later disposed of, according to a Reuters report. "We have real concern about the reports coming out on the situation of this journalist. 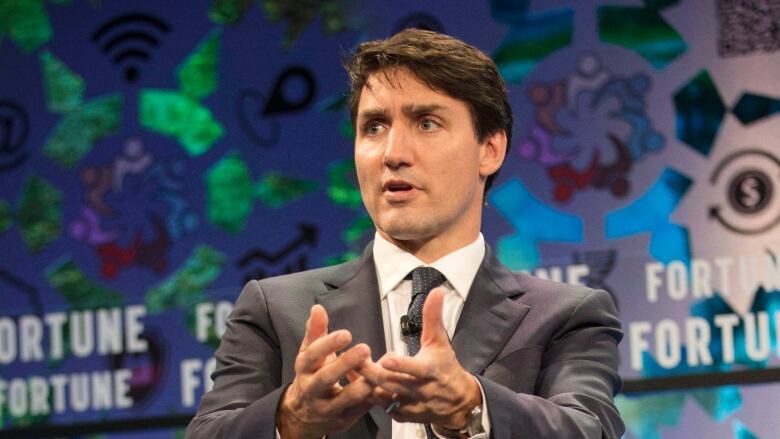 We're very much working with our allies in the international community to try and bring forward a concerted, or at least an aligned, response as we learn more about this situation," Trudeau said during a 'fireside chat' at the Fortune Global Forum in Toronto. "Obviously, this is something that has highlighted real concerns for an awful lot of people and let's just say I'm glad we're having these conversations in the open." Foreign Affairs Minister Chrystia Freeland said she told her Saudi counterpart Monday that she wants to see a "thorough and transparent" investigation into Khashoggi's fate. "I emphasized that those found responsible must be held to account," she said in the House of Commons. The two spoke by phone earlier Monday, she said. Freeland, who had been criticized by the NDP for not issuing her own statement on the matter (she instead retweeted one by the French, German and U.K. foreign ministers), read a statement to reporters in the foyer of the Commons after question period. "I'd like to reaffirm our commitment to defending freedom of expression and protection of the free press," she said. "Canada remains very troubled by the disappearance of prominent Saudi journalist Jamal Khashoggi and calls for a thorough, credible and transparent investigation into the serious allegations about Mr. Kashoggi's disappearance." Khashoggi's alleged murder at the hands of Saudi operatives — something the kingdom has vehemently denied — is just the latest in a series of events raising the temperature of the kingdom's diplomatic relationship with many Western nations. In August, Freeland sent a tweet condemning Saudi Arabia's decision to jail prominent women's rights activists Samar Badawi and Nassima al-Sadah. Badawi is the sister of Raif Badawi, a Saudi dissident blogger who has been imprisoned by the Saudi government since 2012 on charges of apostasy and "insulting Islam through electronic channels." Raif Badawi's wife, Ensaf Haidar, and their three children have been living in Quebec since 2015 after fleeing the desert kingdom. Freeland said she was alarmed by Badawi's imprisonment and called for the release of "peaceful" human rights activists — a statement that prompted the Middle Eastern kingdom's governing monarchy to virtually sever all ties with Canada. Saudi's Foreign Affairs Minister Adel al-Jubeir said a restoration of relations would not be achieved until Canada apologizes for interfering in the country's internal matters. "A mistake has been made and a mistake should be corrected," al-Jubeir said in August. "Canada needs to fix its big mistake." Trudeau has said Canada will do no such thing. Speaking in Toronto Monday, Trudeau said Canada will not be silenced by human rights abusers like Saudi Arabia and its leader, Mohammad Bin Salman — the young crown prince who has sought to modernize his deeply religious country but has bristled at criticism from abroad. "Canada will always be very firm, and we'll try to be polite, because it's not just a cliché, about standing up for human rights all around the world. Canadians expect it of our government. The world expects it of Canada," Trudeau said. "We don't take kindly to having people try to punish us for what we believe in." Freeland was asked if, in light of unanswered questions about Khashoggi, Canada should consider cancelling its contract to supply the kingdom with Canadian build LAVs (light armoured vehicles). She indicated the contract would not be revisited. "When it comes to existing contracts, our government believes strongly that Canada's word has to matter and it's important for Canada's word to last longer than one particular government," Freeland said. Canada's former ambassador to Saudi Arabia Dennis Horak told CBC News Network's Power & Politics today that even if Saudi Arabia can be linked with the killing, the Trudeau government should continue to engage with the kingdom. "Minister Freeland talked with [Saudi Foreign Affairs Minister Adel bin Ahmed] Al-Jubeir today as I understand it and I think that's exactly the right approach," he said. "You're not going to be able to isolate Saudi Arabia. They're just too important a country, and the reason they are too important a country is world oil markets. We can't isolate them in the way we think we can."